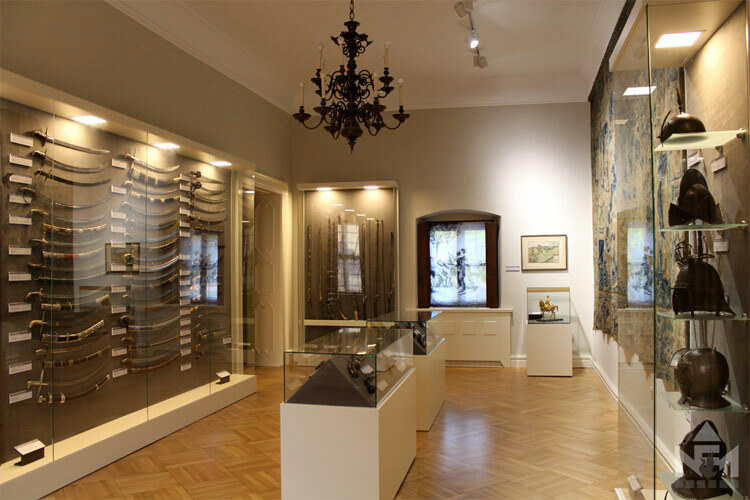 The Hussar Collection of the Ferenc Nádasdy Museum and the permanent exhibition based thereupon is one of the museum units showing the memorabilia of this internationally known and respected Hungarian branch of service. All three museums and exhibitions in Tarbes, France, Nyíregyháza and Sárvár nurture and present the heritage of Hussar regiments which played a crucial role in military history. The museum in Tarbes, a town in the south of France, shows the uniforms and weapons of the Bercsényi Hussar regiment. László, the son of Miklós Bercsényi, who was the commander-in-chief of the armies of Ferenc Rákóczi II., created the regiment, who still bear the founder's name and are proud of their Hungarian origin. The Hussar collection of the András Jósa Museum in Nyíregyháza shows the history of the Hungarian light cavalry based on the rich material of the Hungarian Royal and Imperial and the Royal Hadik Hussars between the two World Wars. The location is also not a coincidence, because the barracks in Nyíregyháza had been the home of the regiment founded 1734 since 1891. The exhibition shows the history of the regiment and the barracks. One of the earliest memorabilia were delivered to the Ferenc Nádasdy Museum in Sárvár 1983. Representatives of the Hungarian Royal 3rd Ferenc Nádasdy regiment living abroad have been the opinion since the mid 1970ies that the memorabilia of the regiment, which were kept in Austria, should be stored among proper circumstances. Apart from depositing the memorabilia abroad, officers living in Hungary suggested Hungarian museums as well. Sopron was one of the opportunities as the Royal and Imperial 9th Nádasdy regiment, as well as the Hungarian Royal Nádasdy regiment which was acknowledged as its legal successor inhabited a cavalry barracks 1884 in the town. 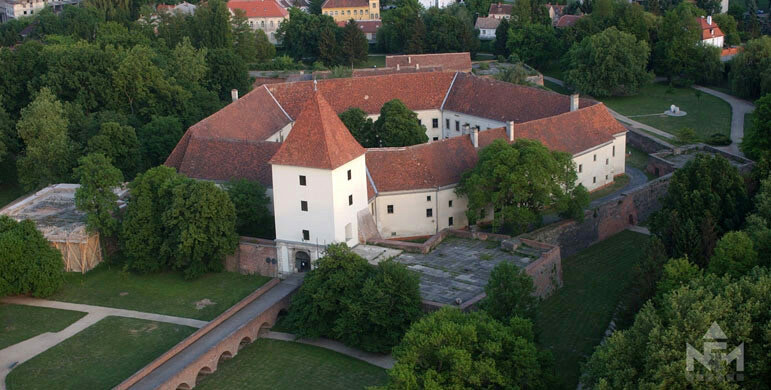 The other location was the museum in Sárvár bearing the name of the grandfather of the name-giver, Ferenc Nádasdy, the vice-palatine, who was executed 1671. The Nádasdy family also issued a declaration and supported the positioning of the Hussar memorabilia in the museum. The members of the officers' corps signed the contract of donation at the end of 1983. 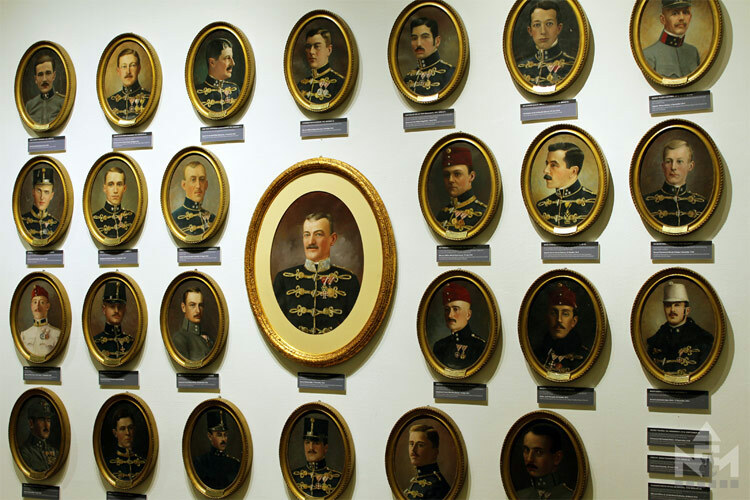 This way not only the memorabilia of the officers' corps, but also certain objects of the Royal and Imperial Radetzky Hussars and the 11th Hussar regiment of Szombathely came into the museum. In the course of the following years the members of the regiment decided to donate the museum the remaining and sheltered relicts. Baron Géza Splényi donated the museum the memorabilia of the Hungarian Royal 4th András Hadik Hussar regiment. Afterwards remarkable sports trophies, like the trophies, awards and cups of Ottmár Schaurek, József Platthy and László Selmeczy, came to Sárvár. Objects of fine and industrial arts from the United States, as well as more than fifty sabres help finding the way in the history of the Hussars. The donation of personal objects, like awards, printed materials and silver etuis indicate the trust laid into the Ferenc Museum. Dr István Söptei, the director of the Museum, was glad to accept the memorabilia of the Hussars and nurtured the remarkable collection with care and responsibility. The Museum presented the returned values 1984 for the first time. The ever increasing collection enabled the opening of the first Hungarian exhibition showing the history of the Hussars 1988. The successful exhibition was amended and restored ten years later. Dénes Dabóczi, a member of the Museum staff, laboured hard to prepare the description and arts history elaboration of certain objects of the collection. Dr János Bene elaborated the memorabilia of the Hadik Hussar regiment. Ödön Koszorús defined and described the weapon material and the uniforms. The catalogue depicting the objects of the Hussar collection in the Ferenc Nádasdy Museum in Sárvár was published in two editions 2000 and 2002 by the Friends of the Hussar Museum. The online database showing the entire Hussar collection based on the work of previous years in our Museum is launched with the help of the Hungarian National Cultural Base Program.